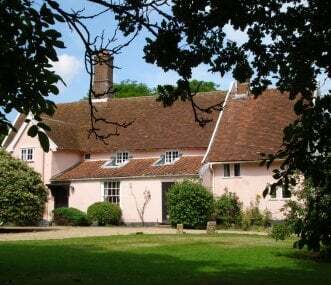 Suffolk GroupAccommodation can offer stunning barn conversions as holiday accommodation, groups of cottages, large holiday homes and budget group venues to appeal to every type of group. Suffolk is ideal for out of season short breaks as well as the traditional family holiday. Swimming pools and hot tubs often come as part of the package meaning that extra fun can be had what ever your reason for planning a holiday from reunions, to stag and hen weekends, special interest groups to simply a friends gathering. Lovely spacious house beautifully renovated with light and sunny rooms only 5 minutes from the beach with good sized garden and lots of space for a special occasion or for a large family gathering. Large Arts and Crafts family home in centre of Aldeburgh, 5 minute walk from beach, river, High Street. 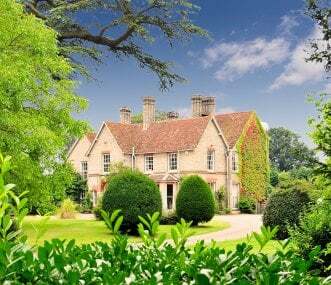 Sleeps 12 in 6 bedrooms, spacious drawing room and dining room. Large garden with croquet lawn. 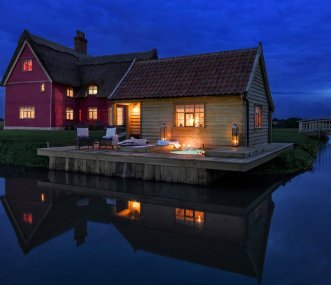 Camps Heath Barn offers guests a traditional barn conversion, situated on the edge of a nature reserve and close to the coast and broads. Suitable for family gatherings and getaways with friends. 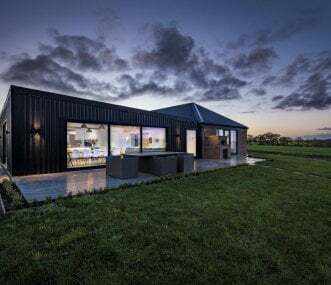 A luxury destination featuring the Sheepyard Barn which sleeps up to 12 with home cinema, indoor pool, hot tub and pizza oven. Perfect setting for family holidays and getaways with friends. This is the place for lazing around! A restored thatched cottage with views across the estate - this property offers a relaxed and comfortable luxury. The perfect spot to unwind, entertain and bond! 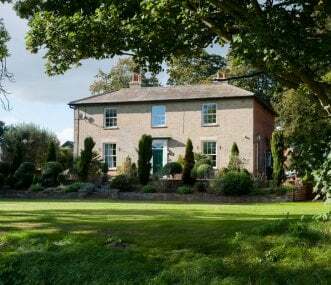 Sleeping up to 15, The Firs is a beautiful Georgian farmhouse located in the gloriously stunning Suffolk countryside; just a stone's throw away from the pretty coastal village of Orford. Hot tub. Suffolk is the home of Benjamin Britten’s famous music events at Aldeburgh, it is a place where you can marvel or despair over a giant scallop on a beach and this part of East Anglia has one of the most famous stretches of racing turf in the world. 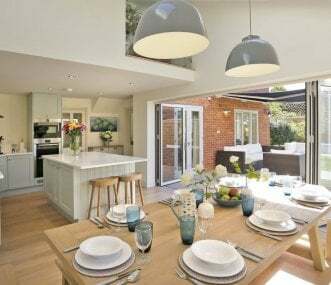 Whether you are a bird watching group wanting to discover some of the 5,300 recorded species at Minsmere or a group with cultural interest wanting to visit Ickworth House, Kentwell Hall or Sutton Hoo we have large holiday accommodation in Suffolk to suit your needs. Food lovers will exclaim over the local produce at the famous Suffolk Food Hall and local markets and they will be able to eat out at one of the hundreds of great restaurants all over the county. Groups looking for a great day out should coincide with a race day at Newmarket – home to 5,000 thoroughbred horses or come in May for The Suffolk show with its 700 trade stands and 3,000 animals of all shapes and sizes. Groups who love music will know about Aldeburgh but Snape Maltings is also for those with a literary interest as it hosts a poetry festival in November. 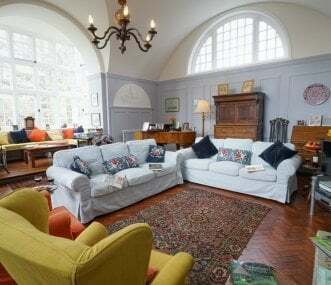 Why not book a group holiday house between Aldeburgh and Southwold and also enjoy Southwold’s ‘Way with Words’ festival also held in November. Walking groups can enjoy the Suffolk Walking Festival’s programme of over 90 walks held over three weeks in May but short breaks booked at any time of the year will give you the opportunity to discover a 12.4 mile loop of pathways walking in the footsteps of Thomas Gainsborough on The Gainsborough Trail near Sudbury. Alternatively set your walking group the target of completing the 11 pub walks that have been put together by Adnams Ales linking different pubs in lovely places all over Suffolk. 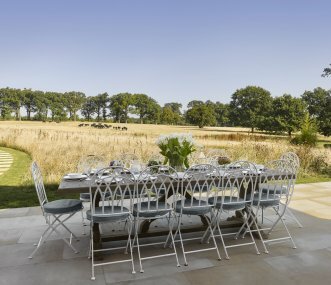 Group accommodation for walkers, culture lovers and foodies or large holiday houses for groups organising a reunion, stag or hen weekend or family celebration are available to book all year round in Suffolk.